The Dominican Dream is a portrait of the Dominican community of NYC in the ’80s and ’90s, seen through a loving family whose youngest son, Felipe Lopez, became the top ranked high school basketball player in the nation and was hailed as “The Dominican Michael Jordan’. Embraced as an immigrant hero, then cast aside as an American failure, Felipe Lopez would eventually find happiness not as a basketball player, but as the man he was always meant to be. The film will make it’s premiere at the Tribeca Film Festival on ‪Saturday, April 27 at 2:30 PM, with a second screening ‪on Sunday, April 28 at 5:45 PM, and a final screening ‪on Saturday, May 4 at 3:15 PM. Felipe Lopez and Director Jonathan Hock will be there on the 27th and 28th. The film will make its television debut on ESPN on Tuesday, April 30 at 9 pm ET. 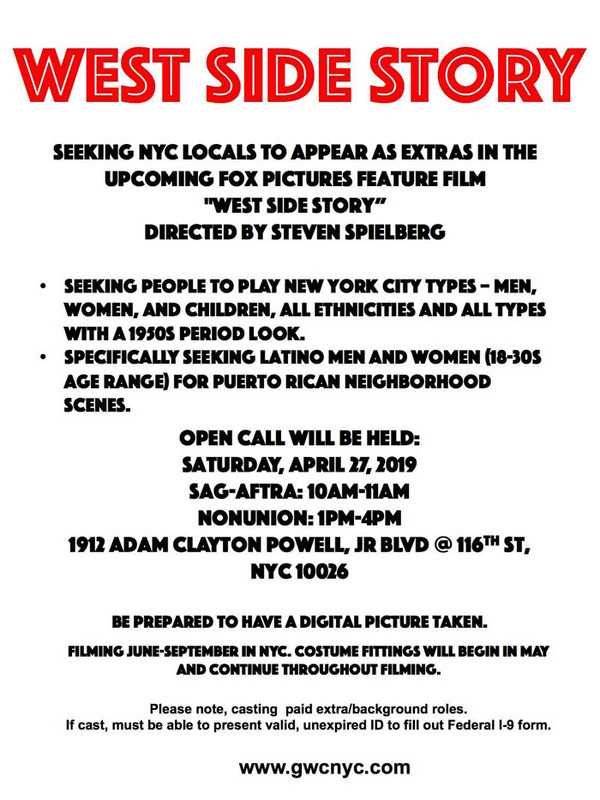 No more #InTheHeightsMovie casting announcements for awhile, we build from this foundation now. Quiara, Jon & I just wanted you to have the full set in one picture. Gastor Almonte is an award-winning stand up comedian, storyteller, writer, host and he is funny as hell. Mr. Almonte’s debut comedy album, Immigrant Made, is a must listen. 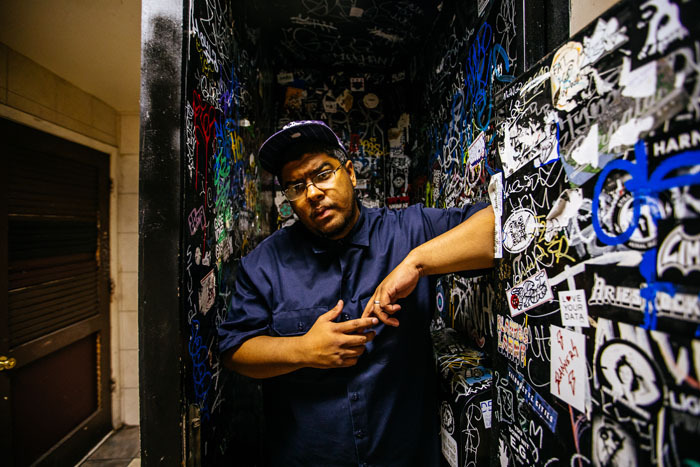 Mr. Almonte weaves uproariously hilarious tales of growing up Dominican in East New York, Brooklyn with present day anecdotes of being a parent in the same neighborhood he grew up in. You may have seen him on Comedy’s Central’s This Is Not Happening and he has been featured on a whole host of important comedy functions. Do yourself a favor and get familiar with Gastor Almonte. Fernando Mateo sees the changes happening Uptown and is determined to do his best to address them. The serial entrepreneur recently stopped by the Power 105.1 radio station for an intense and insightful interview with Honey German. 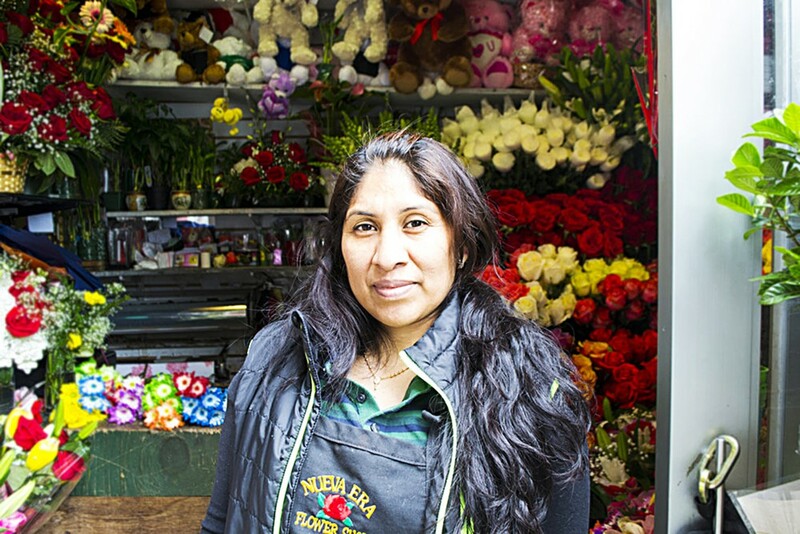 Mr. Mateo unabashedly tackles the gentrification that is changing the neighborhood, as well at the constant harassment faced by local Latino businesses. 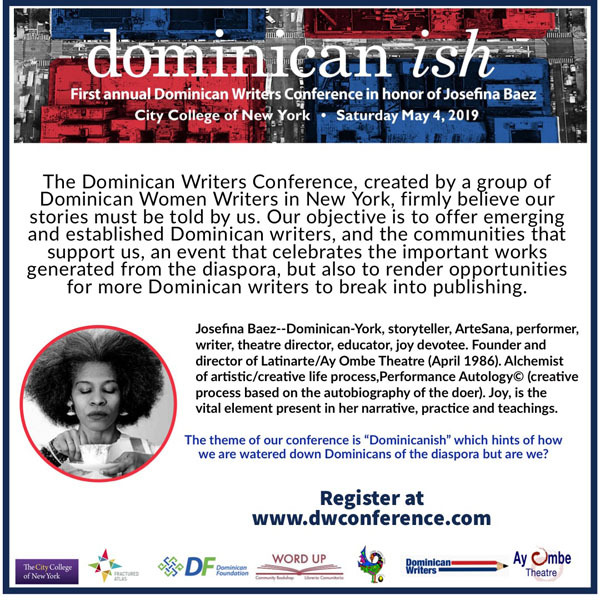 That’s right y’all the first annual Dominican Writers Conference is going down on May 4, 2019 at the NAC Building of City College (160 Convent Avenue). We’re talking writing workshops, panel discussions, manuscript reviews, author readings, networking and so much more. Did we mention that the conference is an honor of the incomparable Josefina Báez? The all day conference boasts a talented roster of folks such as Angie Cruz, Yaissa Jimenez, Francis Mateo and our very own Led Black among many others. 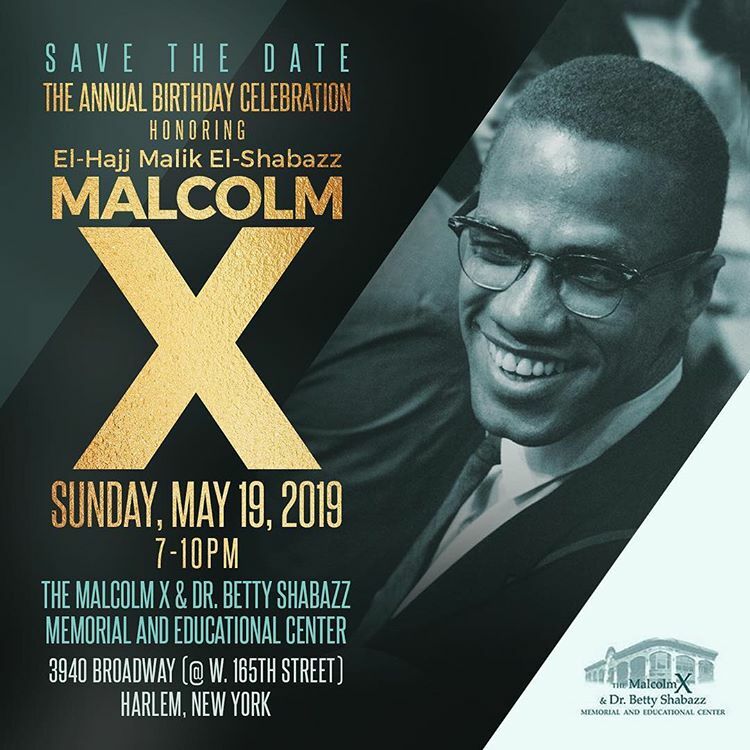 Get your tickets ASAP. My name is Carolina Contreras, a Dominican activist and social entrepreneur. 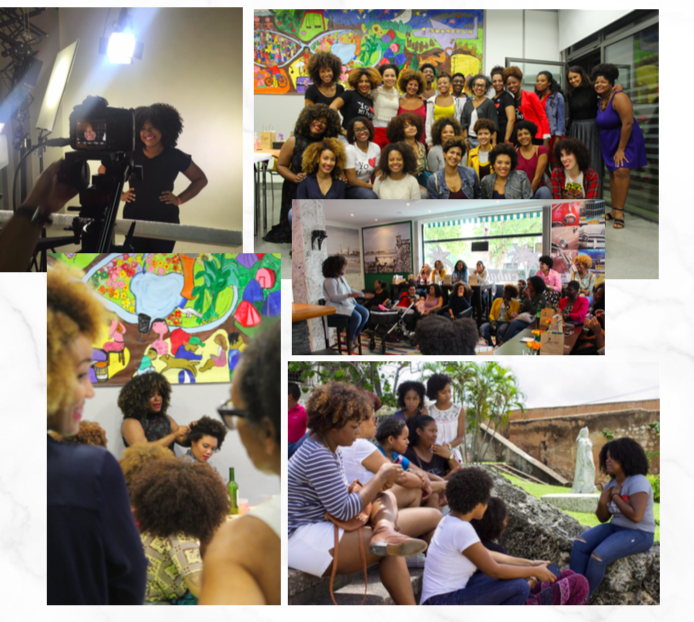 Over 4 years ago we created Miss Rizos Salón, an afro-curly safe haven that empowers, celebrates and educates thousands of women, men and children in the Dominican Republic. Our curly hair salon is like no other and with your help we are bringing Miss Rizos Salón to New York City! Our communities are rapidly changing, bringing this space Uptown is a celebration of our culture, beauty and our entrepreneurial spirit. Five years ago, I decided to quit my job and move back to my native country of the Dominican Republic to honor my purpose and follow my calling. I had an ambitious goal to eradicate discrimination on the basis of hair and change the way Dominicans saw themselves and each other. I wanted to do it by bringing to life missrizos.com, a curly hair blog I created in 2011 and turning it into Miss Rizos Salón, a place created to celebrate and empower us. Thanks to the help of so many incredible people and all of my savings lol, in December of 2014 we opened the doors of Miss Rizos Salón in the Colonial Zone in Santo Domingo. We started with a team of 2 and we are now a team of 20! We see more than 500 women, men, and children every month and we’ve reached more that 5,000 little girls in all of the country. Many of our clients fly from around the world, but specifically from New York City, to visit our salon. So, for years we’ve been anxiously awaiting this moment to finally bring our incredible service and love for curly hair to New York City! Although this all comes with an immense sense of fear and many questions, yet again, I’ve decided to do it afraid and together with an incredible team, make this idea come to life.